In previous blog posts, we discussed the steps you need to take when unboxing your RPM² system and how to calibrate your footbeds for cycling and running. Today, we are going to discuss another important step you should take before your purchase your RPM² footbed system: determining your metatarsal measurement. When you add the RPM² system to your cart on our secure e-store, you will be prompted to fill out a form, which asks for your left and right metatarsal size. It is important that our customers know that metatarsal measurement is not the same thing as your shoe size. Instead, metatarsal measurement involves the length of your foot from its heel to the ball of your foot. Metatarsal measurement is used to enhance the accuracy of your footbeds so that they can collect precise data as you begin to use them. Our team at RPM² has made it very easy to calculate your metatarsal measurement. Before purchasing your RPM² system, click here to download and print our Insole Measurement Guide. You will download the guide in .PDF form and print it off on a standard piece of paper. Be sure to uncheck “fit to page” on your print settings. If part of your printed sheet is cut off, you can utilize a ruler that measures in centimeters to ensure that you get an accurate measurement. Wearing socks or standing barefoot, place the heel of your foot at the bottom of the page as it sits flat on the floor. Start with your right foot first. Shift your weight onto the ball of your foot to match up with Figure A on the Insole Measurement Guide. Use your index finger to locate where the ball of your foot touches the chart and use your finger’s placement to determine the proper measurement. To get the metatarsal sizing for your left foot, simply repeat the process using the same guide. Be sure to write down your measurements and use these calculations when you place your order. Following is a short, step-by-step YouTube tutorial for printing off and utilizing the Insole Measurement Guide. When you receive your RPM² system, there are a few steps you need to take in order to get the most benefit out of your investment. A few of the things you will need to do when unboxing your product is download our app for Android or Apple and register your device. In the past, we have provided instructional blogs for these tasks and our YouTube channel features a wealth of videos on learning how to use both our footbeds and the application that accompanies them. Before putting your RPM² footbeds into action, you will need to calibrate the device so that it can take accurate data customized to your needs. Calibrating your device is important for the product’s ability to measure your power. There are separate processes for calibrating force—one for cycling and one for running. Calibrating your RPM² system is essential for gathering accurate data on the power output of each leg when cycling. When calibrating, you will wear your RPM² inserts in your cycling shoes. Below is a step-by-step instructional video from our YouTube channel to help you calibrate your footbeds. As with the cycling feature of the power meter, measuring power output during running requires calibrating your footbeds. When calibrating force sensitivity, you will need to wear your RPM² inserts inside your running shoes and have your mobile application handy to complete the calibration exercise. For detailed instruction, refer to our YouTube video below. Be sure to follow us on social media to learn everything you need to know about our products and how to use them. If you have questions, feel free to contact our customer service department. RPM² is the first remote technology device that offers efficiency and symmetry for athletes, which can lead to injury mitigation and higher performance. Level 2 Triathlon coach, Valerie Gattis tells her incredible story of success using RPM² remote technology. “As a coach, I find I am now concentrating as much on the mechanics of my athletes as I do on their physical training and psyches. In the past, I was limited to observation to study physical efficiency; specifically gait analysis which impacts form and efficiency in a runner and can have impact in other areas as well, injury prevention being at the top of the list. Last year I began to look more closely at how I might add gait analysis to my coaching and became interested in RPM² and their pressure-sensitive insoles as an affordable and extremely effective device for precise measurement. I had a specific athlete in mind, who I knew could be a top-performing triathlete but who had a series of injuries that led me to believe that her mechanics needed analysis and improvement. 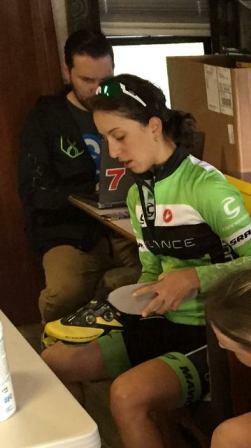 I purchased the RPM² insoles in July 2015 and did some initial testing on myself and my husband, an avid cyclist, to establish a benchmark. In February 2016, I took the insoles and tested my athlete for some initial range-of-motion diagnostics. The effect was immediate. Her ankle flexion was “0” on both feet and she suffered attendant hip flexor issues and taut hamstring muscles. Clearly she needed physical therapy and we now had the information needed for a rigorous and focused PT regimen. In swimming, she had been limited in her stroke due to the absence of ankle flexion, and since has improved from 1:43/100 yard to averaging 1:39/100 yard in practice. The use of proper mechanics also increased her running efficiency and economy, a key element of the long distance triathlete. From a “competitive” age group triathlete, she has now become a dominant competitor! RPM² pioneered the force based foot-bed training device that measures both running and cycling power, as well as assesses symmetry of the athlete. RPM² is predicated on assessing symmetry affording coaches and athletes the ability to augment training regimens to achieve greater performance and efficiency. Although RPM² does not correct asymmetry in athletes, it does provide data that can be used in corrective coaching or physical therapy, and it is corrective coaching and physical therapy that can lead to injury mitigation. 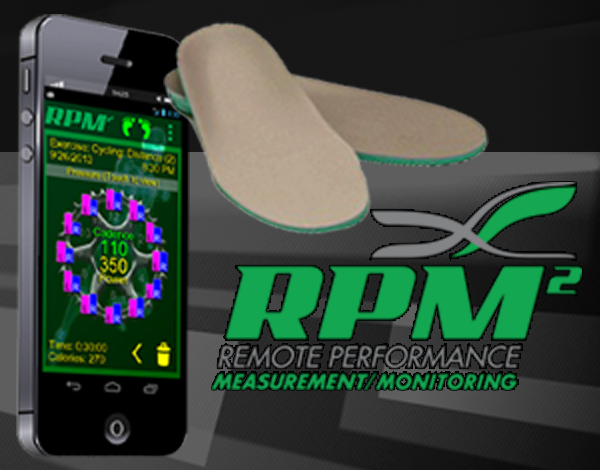 RPM² offers a thin pair of insoles that operates with Android and iOS smart phones and is ANT+, and .FIT compatible that can upload directly to Training Peaks. Your RPM2 System Has Been Delivered: Now What? RPM² is a unique product made with advanced, proprietary technology. Even if you are a seasoned cyclist, runner, or triathlete who has used wearable technology in the past, you will likely realize that reading our operating manual and taking time to learn how to use your RPM² device is important. If you’re new to the RPM² family, we have you covered. In addition to this blog site, we have a wealth of YouTube videos dedicated to providing informative, step-by-step tutorials on everything from unboxing your footbeds and charging them to pairing your footbeds with your mobile device. You might be wondering what is included in your package when your RPM² system arrives. You also might wonder if you should take any precautions when unboxing your package to avoid damaging your equipment. Fortunately, our packaging is designed to protect your device. Your RPM² inserts will be protected by weather-proof plastics and your charging mat will be housed in a protective box. Inside your package is the RPM² user manual. This manual will be very helpful to you as you begin to work with your devices. We recommend keeping the manual in a safe place—even after you have read through it. To see what’s included in our packaging and to learn how to charge your inserts, watch our unboxing and charging tutorial below. After you have charged your footbeds, you will need to register your footbeds and pair them with your mobile platform of choice. The RPM² app is available for both Apple iOS and Android. Remember that you will need the unique code printed on your RPM² inserts to register your device. Below are instructional videos for registering, pairing, and connecting your device. Stay tuned for more helpful tutorials and the latest news concerning RPM². Be sure to follow us on Facebook, Twitter, and Instagram. In previous blogs, we have mentioned our partnership with various athletes and coaches. Our team at RPM²understands the importance of supporting the endurance athlete community. As a sponsor of the Cylance Pro Cycling team, we take great joy in seeing these top-notch athletes compete in some of the most challenging races across the world. Following are some highlights of what the Cylance Pro Team has been up to and how well these athletes are doing. Next week, the Cylance Pro Cycling team will be traveling to the United Kingdom for the Aviva Women’s Tour (June 15-19). As part of the UCI Women’s World Tour Races, the Philadelphia International Classic is a six-lap course that totals 118km of racing. The Philadelphia International Classic is known for its aggressive racing and steep, brutal climb to the finish over the Manayunk Wall. As her second time to compete in Philly, Krista Doebel-Hickok placed ninth. Krista, known for her power at steep climbs, applauded her teammate Rosella Ratto for helping her position for the difficult climb and for inspiring her to push herself. After battling through some crashes, sicknesses, and injuries, the Cylance Pro Cycling team made an excellent comeback at the UCI Winston-Salem Classic with Rosella Ratto earning first place and Valentina Scandolara winning second. Both cyclists credit their tenacity and smart tactics for their great performances. Both Ratto and Scandolara felt invigorated by their win and are excited to bring this energy and confidence into upcoming races. The Amgen Tour of California was the first UCI Women’s World Tour even of 2016. Of the Cylance Pro Cycling team, Krista Doebel-Hickok (USA), Alison Tetrick (USA), Rossella Ratto (ITA), Valentina Scandolara (ITA), Sheyla Guitierrez (ESP), and Doris Schweizer (SUI) competed. The Amgen Tour of California is a challenging four-day race that is broken up into stages. On stage one, Rosella Ratto finished sixth overall and earned the Best Young Rider jersey. For stages two and three, Cylance finished in 11th place. During stage four, Alison Tetrick suffered from a crash but fortunately walked away without major injuries while Valentina Scandolara sprinted to 6th place closely behind the other five top racers. Our team at RPM² applauds the Cylance team’s victories and dedication. We are looking forward to a great UCI season. To keep up with the latest news, follow us on Facebook, Twitter, and Instagram. Did you know that the RPM² system has been featured in a new book? Renowned endurance coach, Jim Vance recently published Run with Power: The Complete Guide to Power Meters for Running. Published by VeloPress, the leading publisher of materials geared toward the endurance athlete community, Run with Power has been lauded by elite coaches, trainers, and top-notch athletes for its comprehensive look at the world of power meters. If the name Jim Vance sounds familiar to you, it might be because our team has previously sponsored seminars with Coach Vance. RPM² sponsored Coach Vance’s talk at the 2015 Ironman in Kona. Our team provided a wealth of data to Jim Vance so that he could discuss our product’s unique benefits accurately to his readers. We were thrilled to work with Jim and could not be more excited for the release of Run with Power. Following is an adapted excerpt from his book with permission from VeloPress. To learn more about Jim Vance’s book, visit www.runwithpower.net. It is available for order online at VeloPress and Amazon.com. You can also buy the book from Barnes and Noble. “If you are now using a power meter for running, like the new Stryd or RPM2 products, you likely are wondering how you can utilize the tool to maximize the benefit of the technology in your training and racing. Power meters for running are a very new technology, and there is still a lot to learn ahead. However, to begin using it effectively to learn about your training and training response, you should begin as you would if you were using a cycling power meter. First, simply train normally and observe the data as you train. Watch and see how the numbers fluctuate or correlate with different intensities, different inclines or declines, and more. Don’t try to control your training based on the power numbers now, as you don’t have a baseline for what they truly mean yet. At first, collect the data from your normal training and see how the numbers are trending. When you feel you are ready, you can then test for your running functional threshold power, which I abbreviate rFTPw. If you’re a triathlete who uses power on the bike, this number will not likely be the same as on the bike for you. In fact, your running FTP is likely to be larger than your cycling FTP. If you’re a runner, you may already use threshold pace in TrainingPeaks, or what I call rFTPa. I use these terms so not to confuse them with cycling, and especially not to confuse both pace and power when comparing or discussing FTP. So how can you find your rFTPw? There are a number of ways you can estimate your rFTPw, but I will share one of the field tests you can do. One of the power meter companies, Stryd, came up with a test that I like, and I modified slightly. It is much easier than an all-out 1 hour effort, or even 20-30 min effort. It simply is a 3 min all-out effort, and a 9 min all-out effort, separated by 30 mins. This test should be performed outside, on a flat surface, not on a treadmill. Warm up for 15 minutes, preparing for a hard effort. Run a 3-minute interval at maximal effort. Recover for 30 minutes with a 5-minute walk, 10-minute easy jog, 5-minute walk, 5-minute easy jog, and 5-minute walk. Run a 9-minute interval at maximal effort. Cool down 10-15 minutes with easy running. For information on how to correctly set your rFTPw into TrainingPeaks, see my post on the TrainingPeaks blog here. The post there is basically the same as this one, but includes the information specific to using rFTPw with TrainingPeaks. If you have set your cycling power zones on TrainingPeaks, you will probably want to set your running power zones using the rFTPw you’ve just found. The TrainingPeaks zones, while excellent for cycling, do not (yet) apply with run power meters. Trust me, I have researched it, and I will be coming out with my running power zones in another post soon, that work effectively for you. In the meantime, just gather some baseline data by running with your running power meter. If you use TrainingPeaks, simply observe how your VI, IF and TSS values calculate based on easy efforts, hard efforts and everything in between. We’d love to hear from you! Be sure to follow us on Facebook, Twitter, and Instagram. You can also subscribe to our YouTube channel, which features testimonials and tutorials to help you get the most of out of products. With the release of Run with Power and forging new partnerships, there has been a tremendous amount of interest in our revolutionary remote performance monitoring device, RPM². Our device is useful for all types of athletes—especially endurance athletes who compete in marathons, triathlons, and competitive racing. Not only does RPM² collect a wealth of data that relates to a person’s bilateral equivalence, our footbeds also have an insole-based power meter that can measure both horizontal and vertical power. Our inserts have been tested for durability and reliability under a variety of conditions. When you factor in the longevity of our footbeds with its many benefits including a built-in power meter, RPM² is remarkably affordable—especially compared to the price of other products. Not only is our device affordable, it is portable. This means that cyclists don’t have to purchase different gear for each bike they train with. It also means that you can take RPM² anywhere where you go. For instance, if you decide to work with a coach in another locale, you can easily bring the RPM² system with you to collect data during your training. As part of our new partnerships, we are offering an incredible discount on the RPM² system. Although our products are already affordable, this limited-time offer is available to the first 500 customers who purchase RPM² before June, 1st. To get $100 off your RPM² order, type the discount code RPM2POWER into the coupon/discount entry form on our website when you checkout. Be sure to use all capital letters when you enter your code since it is case sensitive. Follow us on Facebook, Twitter, and Instagram. You can also subscribe to our YouTube channel, which features testimonials and tutorials to help you get the most of out of products. Last week, we discussed Jim Vance’s book Run with Power: The Complete Guide to Power Meters for Running. The RPM² system, which features the world’s first footbed-based power meter is discussed at length in Run with Power. Jim Vance is one of the most experienced and knowledgeable coaches when it comes to power meters and their benefits to the endurance community. His insight is of great value to coaches, trainers, and athletes, and for this reason, we are honored to provide exclusive content from his book to our readers. Below is a sneak peak of the content this book has to offer. To order a copy, visit the publisher’s website or purchase it on Amazon.com or at Barnes and Noble. To learn more about the book, visit www.runwithpower.net. Chapter 1: Why Use a Power Meter for Running? Adapted with permission of VeloPress from RUN WITH POWER by Jim Vance. “Do you have high goals? Are you trying to qualify for an event or place high at a certain race? Perhaps you simply want to run a faster time than you’ve run before. The higher you set your goals and the better you become, the more commitment you’ll need to reach your next level, however you define it. And as your goals become more challenging, the margin for error in your training and performance will become ever smaller. Many of your competitors are just as good as you are, and some of them are better. It’s crucial that you get your training right. Training is stressful on the body. It has to be, because fitness is really just the ability of your body to tolerate a level of stress. The faster you go, the more stress you put on your body for a given level of fitness. But for as long as runners have been training, our ability to measure the amount of stress we put into our bodies has been quite limited. We can track volume easily—we don’t need anything more sophisticated than a training diary to record how long and how far we train each day. But volume is not a very accurate way to measure stress. Workout intensity is the real key to fitness, but the usual ways we measure intensity, such as a scale of perceived exertion, are subjective. Heart rate (HR) is a tool we’ve used to infer intensity in the past, but it’s flawed, too. In addition to the fact that heart rate does not measure intensity directly, it can also be affected by factors unrelated to training, such as diet, temperature, and stress. Pace may seem as straightforward as training volume at first, but in fact it is hard to quantify; varying terrain and elevation can markedly affect pace. Windy, hot, or cold conditions can also affect pace negatively or positively, adding to the challenge of quantifying the intensity. All of these tools are helpful in creating a snapshot to measure fitness, and yet none of them give us an impartial way to monitor training intensity with repeatable precision. But when we measure stress incorrectly, our training suffers. We become more vulnerable to injury. We may suffer from a lack of recovery. We may get intensity wrong. Any one of those setbacks can derail a training plan. What we need, clearly, is a better way to measure the stress we are inflicting in our daily training routines. And that’s exactly what the power meter provides, and it is why the power meter has the potential to revolutionize your run training. With a power meter, you can measure your performance and training stress more precisely than ever before, and take control of your training and racing to improve every aspect of your running career. No longer will you wonder whether you are meeting the intensity, recovery, pace, and volume goals of your training plan. Instead, you will erase any doubts about your training, and you will be able to monitor changes and improvements in every aspect of your running fitness. Why Run with a Power Meter? If you’re a triathlete, a bicycle racer, or a fan of either pro sport, you are probably already familiar with the use of power meters in cycling. The power meter transformed training and racing in the cycling world. It has surpassed every other training tool because it delivers an objective and repeatable assessment of overall fitness without any of the drawbacks of previous measurement methods, such as heart rate, speed, and perceived exertion. In fact, the advantages of the cycling power meter are so great—and the margin of error so small in the world of competitive cycling and triathlon—that to ignore the information and the advantage from a power meter would be to concede victory before the race had started. In the running world, we have recently seen a surge in the popularity of GPS units, and we’ve seen these units get smaller and smaller as usage has grown. The increased adoption of GPS shows that the running world, like the cycling world, is open to embracing technology and its benefits. While the GPS unit is a useful tool, its contribution to training pales in comparison with the advantages the power meter can provide. The leap in technology is something like the difference between using a typewriter and a computer. In the history of running technology, a stopwatch is probably equivalent to using a typewriter—pretty good at its job, but severely limited in scope. Running’s step up to heart rate monitors was a revelation, but in retrospect, it was like moving from the typewriter to what we would now regard as an old, heavy, slow desktop computer. Today’s GPS wrist units are like the first cellphones, much like a flip-phone. The portable power meter for running is the next step, equivalent to the laptop, tablet, and smartphone coming into existence all at once. And while you can still accomplish a lot with a desktop computer, you likely will be much more effective in many ways if you add the laptop, tablet, and smartphone to your arsenal. This is what the power meter brings to the world of training and racing for competitive running. I am sure you are wondering what makes this technology so great. Here are just some of the ways a power meter for running can positively affect your training and performance. Boost Your Training Specificity: One of the core principles in sports training is the principle of specificity. Simply stated, in order to become better at a specific task, you must practice or train that task. Power meters help us see how well our specific training is improving our fitness. More to the point, the power meter can help you prepare for the specific demands of the target race you’re preparing for. A Running Power Can Improve Your Running Technique: Imagine making a small change in your run form and seeing a major change in power (whether good or bad). A running power meter can help you understand which aspects of your running technique you need to focus on and which you can improve or even abandon. It also is a huge asset late in a race, when you may be tired and need help to stay focused on going as fast as you can. Your Power Numbers Don’t Lie: Fitness may seem pretty simple to measure: Just look at how fast you ran. But not all courses are the same, and conditions vary constantly. What if you ran entirely into a headwind? Or had a constant tailwind? Yes, pace is a good tool for analyzing your training, but power and pace together are an even more powerful way to measure training and fitness. Add in heart rate (HR) and you’ve got some very objective data to work with. Predict a Fitness Plateau: Used together, your power, pace, and heart rate numbers can tell you when you’re about to hit a performance plateau and need to consider a change in your training. Monitor Injuries: If you get injured, you can use your power meter measurements to understand exactly how much fitness you’ve lost, or better yet, bolster your confidence by showing you how little fitness you have actually lost. In some cases, the data from your power meter can even tell you if you are still suffering from an injury that you thought you had put behind you (or, more likely, that you are pretending to ignore). Know Truly How Hard You’re Training: With power data, you can know your actual training volume, intensity, stress, and fatigue. Your Training Stress Scores can also show you your trends in these measures over time. Better Recovery: If you don’t recover adequately, you’re not actually training; you’re just beating yourself down. You are probably familiar with the formula Training = Stress + Rest. But how much stress is enough? How much is too much? How often do you need to take a day off? How many days of recovery do you need after a big training block? If you understand the correct amount of recovery you need based on the data from your power meter, your training will be better. Power Meters Offer Precision Tapering: Tapers and their effectiveness can vary greatly among athletes. Some athletes feel that they shouldn’t taper at all, some are trying to figure out how long to taper, and others are just trying to find out what type of taper to do. When you have data from your power meter that measures training stress and fatigue, you can use it to better plan and perfect your taper, down to specific target numbers. When you can taper with precision, you’ll know you are ready when you toe the start line. Warm-Up Without Wasting Energy: There’s no use expending more energy before a race than absolutely necessary. With the data from your power meter, we can dial in specific intensities and certain physiological systems to deliver a high-quality warm-up that will prepare you fully for your race. Power-to-Weight Ratios: Your power meter will identify your power-to-weight ratio, which can tell you a lot (including your ideal racing weight). If you’re looking to break 3 hours for the marathon, reaching a certain power-to-weight ratio might be a very effective metric on which to base your training and diet. Speed per Watt: Possibly the most important concept in this book, and arguably the biggest advantage of a power meter, is a better understanding of how the watts you produce are converted into speed. This insight into your running is something you could never measure until now. Is Your Training Working? At the end of your season, the data you’ve accumulated from your power meter can be invaluable in assessing how well your training plan worked and what to do next. Your power meter will offer a detailed look into yourself as an athlete, and your power meter data gives you an unparalleled view of your season’s ups and downs. Pacing to Win: A power meter can help you establish and maintain the correct pace, even on courses where establishing the right rhythm is difficult. For example, if you’re preparing for a hilly course that requires perfect pacing, your power meter can help you dial in the exact output pace you need to hold throughout the varying terrain. Know When to Open the Throttle: Let’s say your race is going really well, perhaps even better than expected and you feel like you’ve got more you can give. Your power meter can give you an objective assessment of your running condition and can help you determine—even in the middle of a race—when you have the form to open the throttle. You need my book RUN WITH POWER. The truth is, you can’t really get most of these benefits directly from your running power meter. Just collecting your data from your power meter and loading it onto a computer or website is not enough. You have to know how to analyze and interpret your data, not just today, but over time. That’s where my book Run with Power can help you. Stay tuned for more sneak peeks of Run with Power. Be sure to follow RPM² on Facebook, Twitter, and Instagram. You can also subscribe to our YouTube channel, which features testimonials and tutorials to help you get the most of out of products. 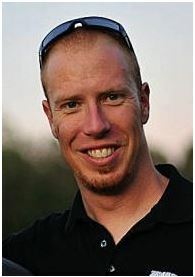 has authored a book published by VeloPress, the premier publishing company for the endurance sport community. Jim Vance is an elite coach and decorated triathlete who has taken a scientific approach to understanding biomechanical movements and how wearable technology can improve the performance of athletes. His book, “Run with Power: The Complete Guide to Power Meters for Running” will take an exhaustive look at power meters currently available on the market. You can order Jim Vance’s book directly from VeloPress by clicking here. “Run with Power: The Complete Guide to Power Meters for Running” will also be available at Barnes and Noble, Cordee for our UK customers, and on Amazon.com. RPM² has teamed up with Jim Vance and VeloPross to promote this insightful book. Some of our future blog posts will provide exclusive access to the book’s content for our readers and loyal customers. Stay tuned for more information. Be sure to follow us on Facebook, Twitter, and Instagram. You can also subscribe to our YouTube channel, which features testimonials and tutorials to help you get the most of out of products.